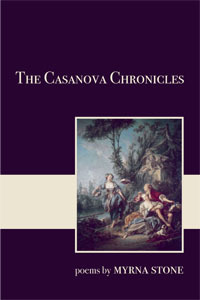 Rather than make a new post, I’m uploading the finished version of the cover design for The Casanova Chronicles here, long past due. 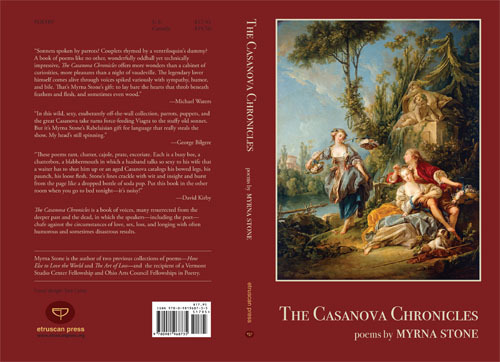 More information about this book of poetry is available at the Etruscan Press website, and the book is available for purchase on Amazon.com. 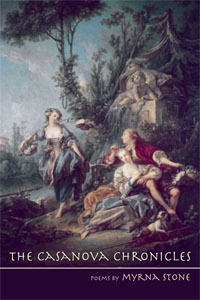 The image I was given was a painting called “Flower Gatherers” by Francois Boucher. Not only is this a demonstrative image on its own, I was told that I likely would be unable to manipulate the image in any way, due to copyright restrictions. While that didn’t come as a surprise, it did limit my options with regard to the design. And it further limits my options with regard to what I can show here about the process. Maybe that’s a good thing. Suffice to say that I did manipulate the image—greatly—to ignite my creative spark and get the process started (always, for me, the hardest part). But those were just the warm-up exercises. Once I got past those potentially creative but otherwise awkward concepts, I was able to work with the image in its entirety, coming up with a few designs that I felt confident enough to share. And because my supervisors had yet to confirm the limitations on image manipulation, I threw a “manipulated” option in for good measure. Below are some of the initial low-res drafts. Wow Tara, nice set of options. All very strong. I wish you could share examples of the poems that will be bound by one of these. I think the Bodoni works very nicely with the manipulated image. 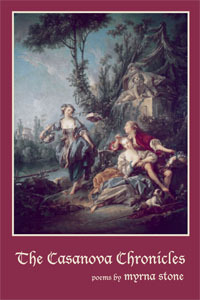 The font and the crop give the Boucher a needed contemporary spin. Borrow? Hell, I’ll buy a copy from EP and see if I can get the designer to sign it. 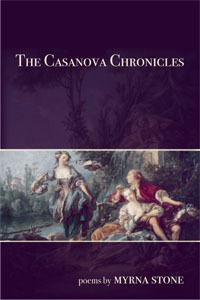 I found out the publication date for the Casanova Chronicles – July 1. I’ll share the information then as well. Happy holidays!